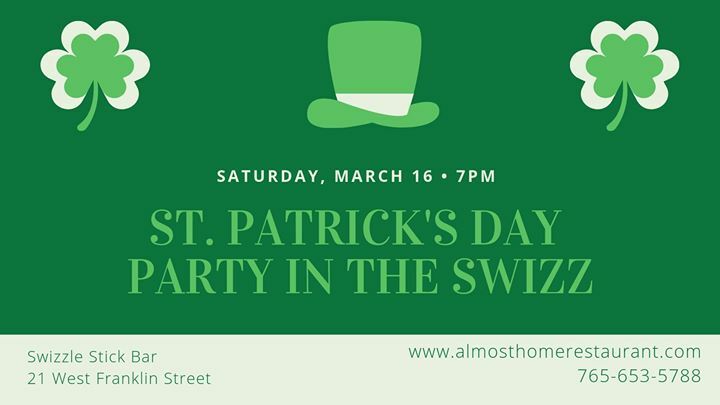 Celebrate St. Patty’s Day with us! Sounds Unlimited will be our DJ from 7pm-10pm. Green beer, featured martinis & cocktails, and St. Patrick’s Day features will also be available. Call today to make your reservation and reserve your table.